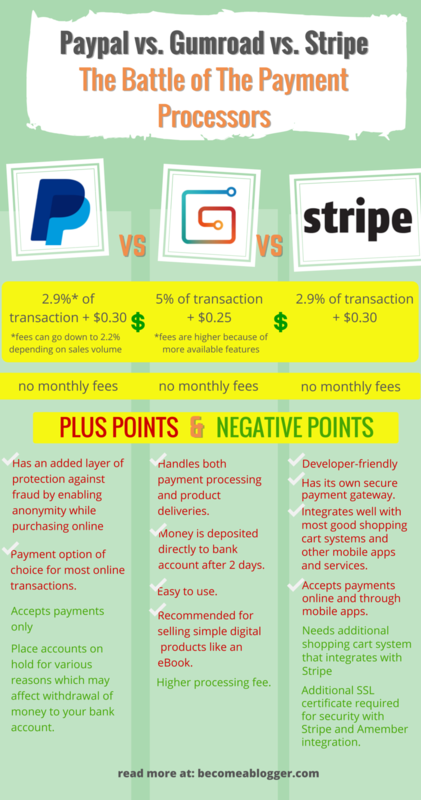 In this article, I’m going to discuss the pros and cons of Paypal, Gumroad and Stripe and explain how each works best for different scenarios. Let's do this. Another plus to PayPal is that purchases can be anonymous. I can purchase something as “Leslie Samuel”, as “That Guy With A Blog” or as [email protected], depending on how I set my account. EXCITING NEWS: I was just informed that Gumroad has launched an affiliate program. You can easily add individuals as affiliates, specify commission levels and they can immediately start promoting your products. This is HUGE. Click here to read more. Thank you for this information. I had been pondering which would be best for my business. As usual you’v been most helpful. I used to use Payloadz. I now use Gumroad and love it. I love the fact that you can do pay as much as you want, plus you can easily add a bonus. You can also do free for a limited quantity so it’s very robust. I’m perhaps ditching PayPal soon for stripe in my membership sites as well. This article is incredibly helpful and amazingly punctual. I’m wondering if you’d have any advice or first-hand experience with bookkeeping software and if you’d even recommend using it. Thanks for creating, sharing and caring, Leslie! I’ve used Quickbooks and that one is pretty good. However, now I use Mazuma for all of my bookkeeping and accounting. They take care of everything. I only used Paypal. This is a helpful article with super information. Thanks for sharing this. Thank you for this article. I use stripe now but only because when I tried to signup on paypal, they wanted to see my business account information? I probably just talked to a confused rep? I told them I am a sole proprietor, but they wanted to see my business registration. Hmm, I never had to do that. Do you see the same thing when you try to sign up online? I guess the problem with all of these processors is the lack of protection for sellers. Without 3D Secure merchants really are at the mercy of any fraudulent purchaser. Can’t really comment on that because I don’t know what 3D secure is. Great post Leslie. I have been using Gumroad to sell my digital program for a while now and very happy with it. The only complaint I have is that it doesn’t offer an affiliate program. Any thoughts on affiliate management programs with a similar smooth interface? 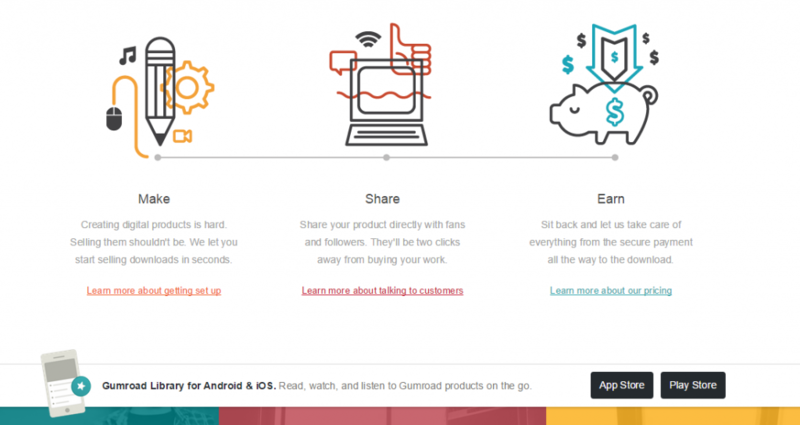 E-junkie has an affiliate portal and provides the same service that Gumroad does. The interface is not as smooth but it is functional. That’s the one downside I see to Gumroad in comparison. Hi Manu! We just launched an Affiliates feature – https://help.gumroad.com/customer/portal/articles/1507847-gumroad-affiliates. Hopefully this makes it easy for you to manage affiliates from within Gumroad! Thank you Emmiliese. Yep – I got the email recently about the affiliate system you guys released and was VERY excited about it. I just added that info to the post. this is the exact info I needed! 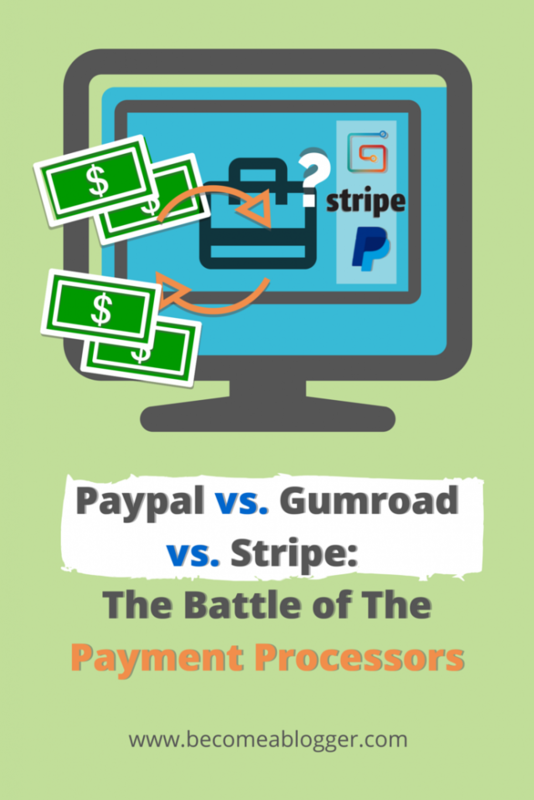 Even better to find this through Google (stripe vs gumroad). I just remembered I listened to your podcast with Pat Flynn and I was genuinely impressed. You’re a very nice and down-to-earth guy. Anyways, this helped me confirm that I’ll use Gumroad for my first digital product. Keep up the great work Leslie! I’m selling educational audio through a website hosted on Squarespace. I’ve got Gumroad all set up to open as a lightbox for purchasing with each product, but am now rethinking this strategy. 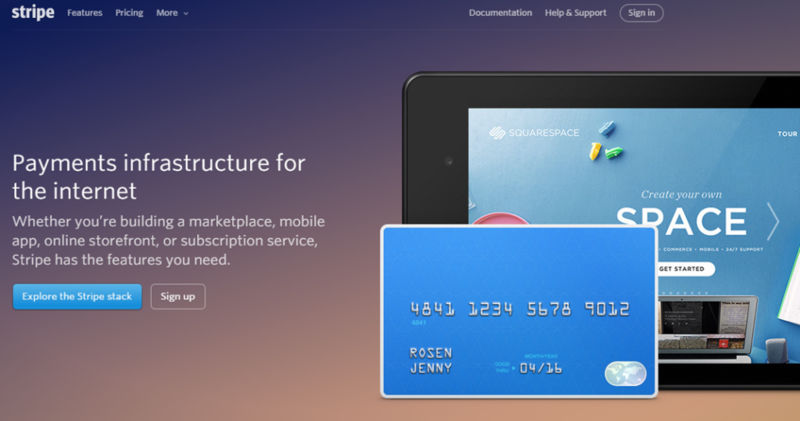 Stripe is completely integrated with Squarespace if I want it. However, I would have to bump up to a $26/month business membership to do commerce through Squarespace. By integrating Gumroad, I get around this and can keep my membership at the basic $8/month. But with Gumroad’s 5% + 25¢ per purchase, is this the best option? I’m just starting out. What do you think? I’d love to hear your input! Thanks!! If you’re just starting out, I would recommend switching to WordPress. Why? Because you aren’t charged more based on what you integrate it with. It’s your site to build and control as you wish. Since you’re just starting out, I think it’s worth doing it now. You should check out my free course. Just a word of warning about Gumroad, there’s a chance they will suspend your account permanently, and when you inquire as to why you will only get a vague canned response mentioning “suspicion of fraudulent activity.” There is no contact phone number and you’ll be left hanging with no clue and a banned account. This is what happened to my business partner and I.. our account was active for about 2 days, we hadn’t sold any products yet, and we didn’t even have any for sale when we were suspended. I can assure you we weren’t doing anything fraudulent and didn’t violate the TOS. Our risk models detected behaviors in your Gumroad account that are considered, in the payment processing industry, to be fraudulent or correlated to fraud – to be sure, we apologize for the negative connotation that the word “fraud” has. Due to the strict regulations by our business partners, we have suspended your account and will not be able to continue working with you. I would recommend contacting your clients to find a different means of payment. All payments in your balance will be refunded to your customers. We are constantly working on expanding the array of industries we can service. It is our hope that in the future we can help business such as yours. The last sentence is just trite salt in the wound. This is all probably due to some fraud detection system that gets fooled into producing false positives, but you don’t even have the option to discuss it with anyone. There are other instances of this happening to people online. That’s interesting. I’ve heard of a lot of people using Gumroad but have never heard anyone having those kinds of problems. Can you tell me which program asks the customer to input the LEAST amount of information? We are nervous that gumroad has them fill out a page full of information before they can checkout? Do you know how that compares to the information the customer has to fill out with e-junkie? Great article! Great details and feedback! Given all that you know now, which of the 3 would you choose? I need to make a decision on which service to use and would love your opinion! I have been using gumroad for a few months and am very satisfied with it. I have been using paypal for about 2 years (in my current focus business) and have found than about 2/3 of my potential customers don’t like it and wont use it! I am thinking strongly now about changing my business model to a store, and would like a cart, which I understand Gumroad does not offer. Have you got a suggestion for me? I was trying to decide between stripe and gum road to accept donations on my client’s site and found your article. It looks like I need to purchase an SSL cert and get access to their merchant account whereas with stripe I would just need to direct deposit into their bank account..is this correct? If so I’m thinking Gumroad would be the easiest to implement? Thoughts?